Alberta Beer Festivals (ABF) Brewing Beer Culture in Alberta since 2004! 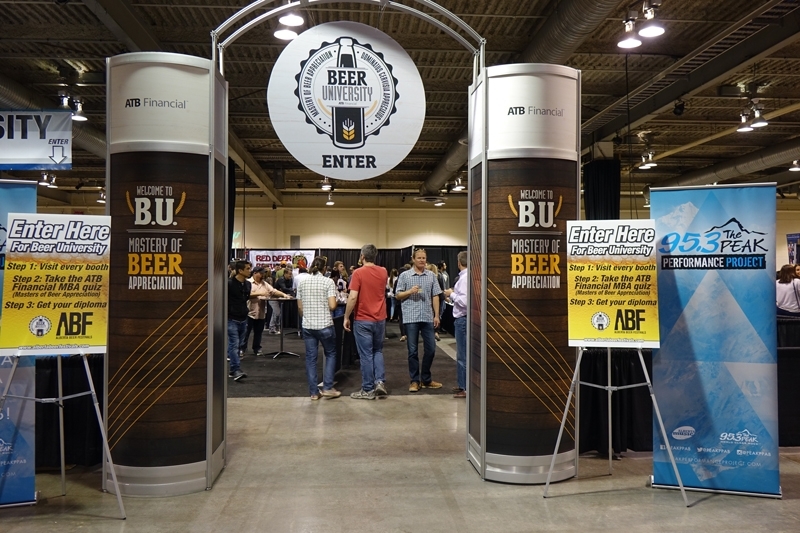 ABF is the hub that connects breweries, agencies, restaurants, liquor stores and beer enthusiasts in Western Canada. We strive to educate our fellow Albertans on all things beer related, and part of what we do is hold awesome beer festivals like the Calgary International Beerfest! Already rated as one of the 10 best beer festivals in the world, the 2017 edition of the Calgary International Beerfest, presented by Sobeys Liquor and Safeway Wine & Spirits, is again occupying over 250,000 sq ft on Stampede Park making it the largest beer festival in Western Canada! Everyone will find a new favorite with over 160 local, national and international breweries, 16 craft distilleries and food from over 35 of Calgary’s best restaurants, pubs and eateries. Alberta Beer Festivals (ABF) has a mandate to not only promote and celebrate the craft beer industry, but we also believe it is important to be environmentally conscious and to be strong members of the community. On May 5 and 6 increase your beer knowledge and find a new favourite by sampling some of the more than 500 different types of beer in the BMO Centre. Take part in the Brew Master Seminar, Cooking with Beer Seminar, attend Beer University, vote for the People’s Choice awards, meet new people, sample delicious foods, enjoy the atmosphere and entertainment, and most importantly, have a great time! Tickets at the door are $25; door tickets are general admission only and subject to capacity. *VIP Beer Geeks get several perks, costing only $10 more than General Admission tickets! They have their own separate entrance, early access to the event, access to private lunges and washrooms and free access to one Cooking with Beer Seminar and Brew Master Seminar of their choice. They will also receive a sampling mug, a Beerfest program and Beer Geeks will get first crack at meeting the brewers and sampling their beers! The first 100 VIPs through the door each day will receive tickets to Calgary Oktoberfest. Get the inside story about beer straight from the source. We’ve asked Brew Masters, distributors and representatives from around the world to speak about the craft beer industry and sample their beer without feeling like you’re in a classroom. How they come up with the concept of your favourite beer, how they dealt with expansion, what are the different styles of beer and how to be sustainable while making beer are some of the questions they will answer in half hour seminars and you’ll get to sample their beer! It’s good to be a Beer Geek VIP; they’ll get into a seminar of their choice for free. Cooking with Beer Seminars are back, and better than ever for 2017! 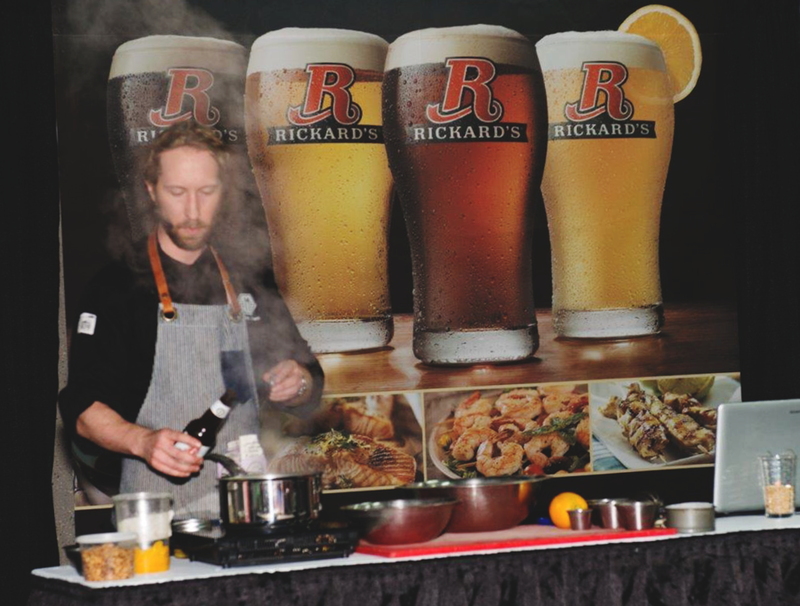 Learn great recipes from Calgary’s top chefs as they explain industry secrets and teach you the finer points of beer pairings. We’ve transformed the Seminar area to look and feel like you’re in your favorite restaurant, so you can learn all this in a fun and friendly environment. Plus, you get to try the tasty samples that are prepared right in front of you! Beer Geek VIPs get free access to a seminar of their choice. The purpose of our event is to give people the opportunity to sample a wide variety of beer and food from around the world. 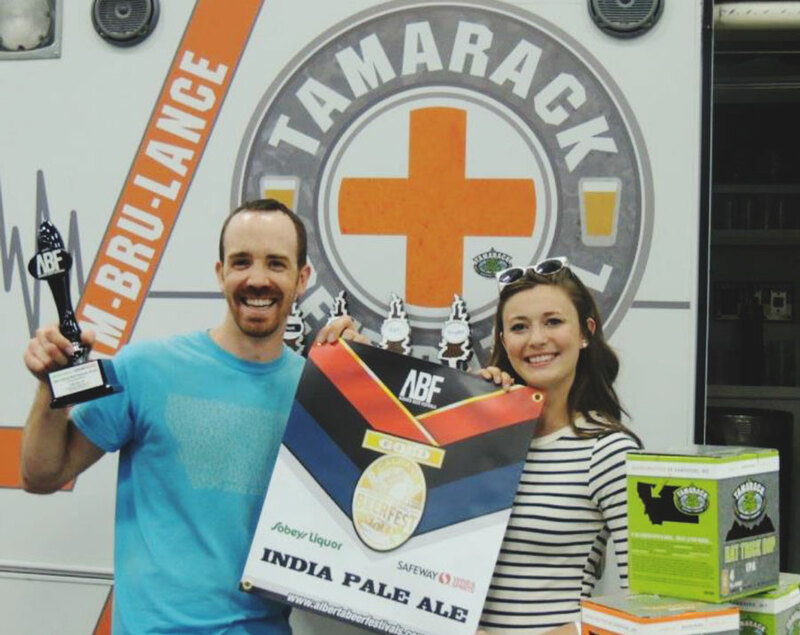 Alberta Beer Festivals creates an interactive environment by holding a People’s Choice competition that awards gold, silver and bronze medals to the winning breweries and restaurants as voted upon by you! Alberta Beer Festivals is pleased to hold Western Canada’s Premiere Canadian International Beer Awards at the Calgary International Beerfest. There are 40 categories in the competition, with gold, silver and bronze medals being handed out to the winners in each category. 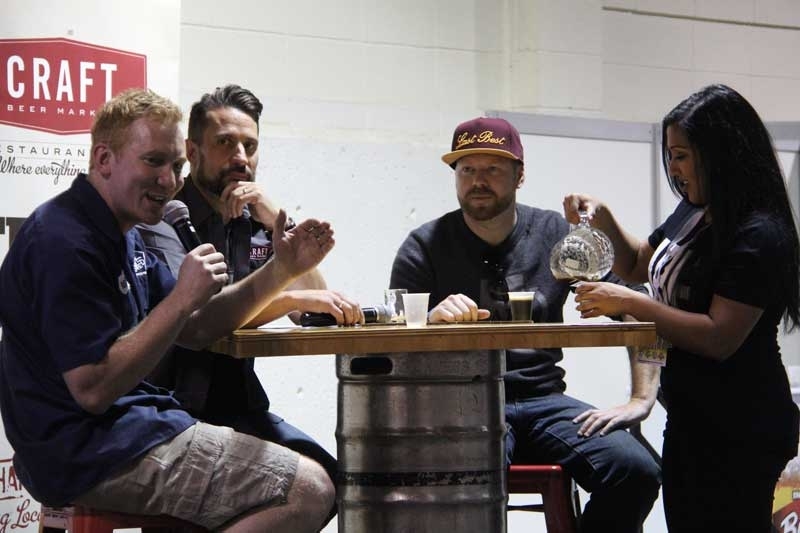 Official Beer Judge Certification Program (BJCP) and celebrity judges will have a sizable task set before them in picking the best in each category! The Craft Distillery District is a must-see destination for patrons at Beerfest. They will have their senses stimulated with visual and engaging displays, the ability to sample a wide range of spirits from over a dozen distilleries from Western Canada and taste delicious food from local restaurants inspired by spirits. There will also be opportunities to learn about the process of making craft spirits via seminars that will take place in the district area and exhibitors will be able to interact with festival goers to uncover why this is the next craft evolution! 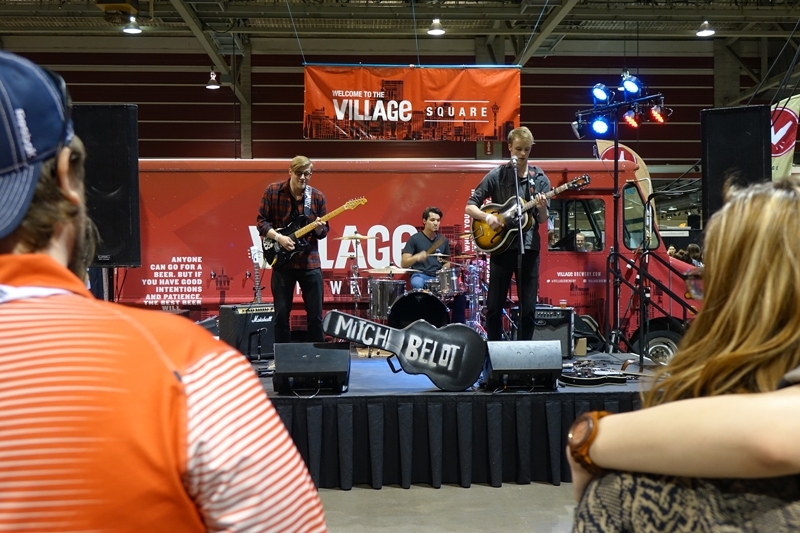 Listen to talented local musicians on the highly anticipated Village Square Stage hosted by Village Brewery and the new Folkfest stage. 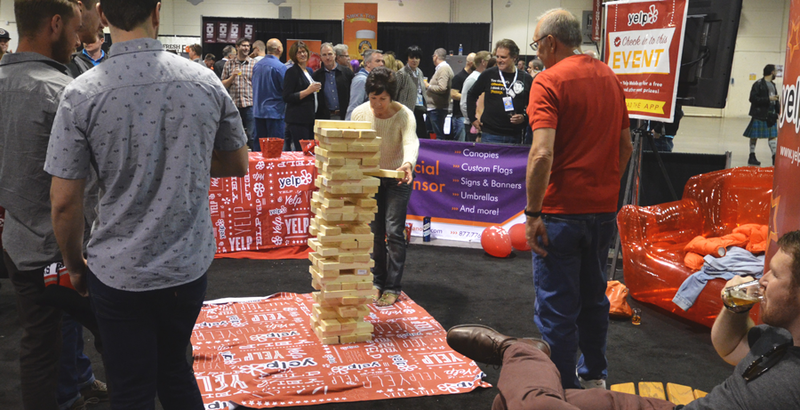 Alberta Beer Festivals is excited to be hosting “Beer University” at the Calgary International Beerfest again. Our goal is to increase your “Beer-Q” and help you find a new favourite beer. Beer U is a festival destination where you can learn more about beer from grain to glass! Discover the history of beer, beer styles, what goes into beer and how beer is made all from the beer brainchildren of the local industries. Key gurus from Grainswest Magazine, Alberta Barley, Alberta Wheat, Hops Canada, Hobo Malting, Olds College Brewery, CAMRA Alberta and ABF Beer School will be there to educate and help answer the questions to the MBA (Master Beer Appreciation) program so everyone can graduate with beer honors and cool prizes! Alberta Beer Festivals partnered with JustBeer and the Olds College Brew Master Program to brew a beer to celebrate the Calgary International Beerfest (May 5/6) and the Edmonton Craft Beer Festival (June 2/3). ABF held 3 CONTESTS to help us CHOOSE the style of our beer, then NAME the beer, and finally design the beer LABEL. Make sure you stop by Beer U to sample our very own witbier, The Lion, The Wit & The Wardrobe! Last year’s new addition at Beerfest was the Distillery District! It was a HUGE success, so we are bringing it back. Similar to the craft beer industry, craft distilleries are starting to emerge on the Alberta landscape from High River to Turner Valley to Banff. Stop by the Distillery District to sample these locally distilled spirits and learn about how similar the process is to making craft beer! 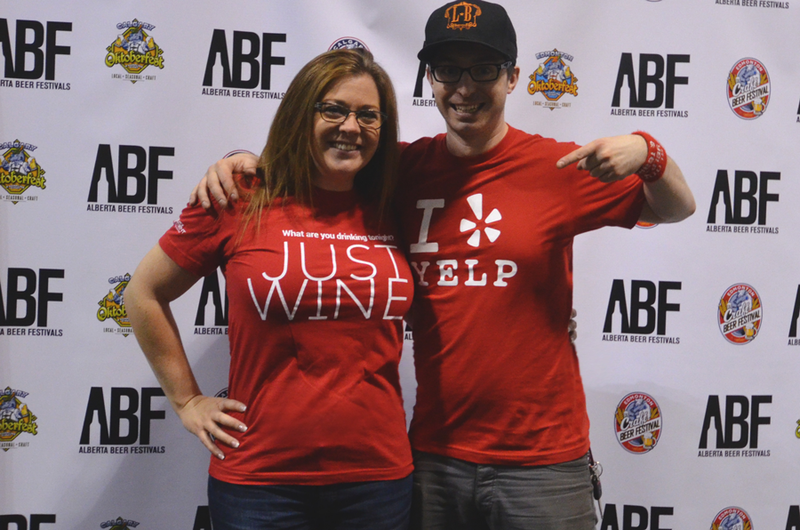 The ABF Social media Lounge is the place to be at Beerfest connecting craft beer fans with their favourite brewers and breweries through any one of their preferred social media streams. Fans can post pictures, ask questions, or give comments using the hashtag #YYCBeerfest to engage with the people who love beer! There will also be plenty of photo opportunities with live interactive entertainment and games. We’re the official app for all of ABF’s festivals! JustBeer is making beer more approachable with great features to improve your beer and festival experience! Calgary International Beerfest is connected to everyone! Get up to the minute updates by staying connected with our Social Media connections. Over 100 breweries and 500 beers to sample! Over 30 of Calgary’s best pubs and restaurants! With the vast array of flavours and styles available, it is possible for everyone to find a beer that they enjoy. One way to do this is to prepare a meal that you would usually pair with wine, but try that with an array of beers instead. Learn to pair your beers with your taste buds at Beerfest and they will thank you throughout the year! Let one of our many participating restaurants guide you towards specific samples that pair great with your beer.